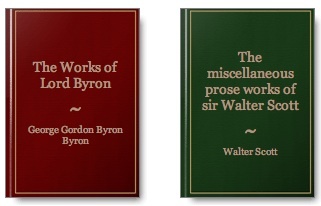 Faber Finds is a new list of POD (Print on Demand) titles from Faber the distinguished London publisher which revives titles buried in their extensive list of out of print titles. It is a very impressive list with many attractive authors and subjects. The motto of the series is ‘Bringing Great Writing Back into Print.’ I bet it will do that well and lead to steady sales from their long tail (there is more meat in the Faber long tail than most). The covers work very well, elegant and fresh in my opinion, and are of course much more attractive than the synthetic covers Google produces for titles without jackets in the Google Book Search library. Some publishers are worried that Google may usurp the publishers role. I would say that this is one small example (one of many) where it is so obvious that the skill of the publisher (in this case design skills) will never be usurped by Google Book Search. Even if GBS were to become the generally preferred digital reading platform, which may happen although I think it unlikely, there will still be scope and a demand for publishing which takes the digital edition to a higher level. It is especially pleasing that in this case the designers have used a generative, algorithmic and automatable approach to their brief of which the sternest Google engineer will approve.